This post is a finalist in our Ultimate Guides Contest. Show your support for this, or any of the finalists by commenting, sharing and joining the conversation! How efficient is your blog? You spend countless hours writing amazing articles. And then you go out and work even harder to promote them. “Get more visitors” – that’s the goal that pushes you forward. The more visitors you have, the bigger the authority you are and the more money you make. What bloggers quite often neglect is how to funnel all these visitors in the most efficient way. For example, one day you might discover that your friend, who has just as many visitors on his blog as you do, makes twice as much money with it. It’s as if you had to fill two identical bottles with water, but yours would have a few holes in it. Those holes need to be fixed. So in this guide, I’m presenting my vision of a perfectly efficient and high-converting blog page layout. And I’ve created a neat infographic to illustrate my points. But before I show it to you, I want to talk about your blogging goals. The truth is, there’s no way to determine if your blog is efficient or not, unless you know what your blogging goals are. One of the first things that we learn as bloggers is how to bring visitors to our blog. And naturally, we’re always happy to see that the number of visits to our blog has increased. But “visits” is often called a “vanity metric” in Lean Analytics. In other words, it doesn’t tell you if your blog is good or bad. All it says is that some people have visited it. I mean, anyone with a huge following can post a tweet saying “Take a look at this blogger, rofl – http://your-precious-blog.com” and you will get a spike of visits in your Google Analytics. Will you be happy about it? It’s not about the number of the visitors you get, it’s about how they help you achieve your blogging goals. Disprove me if I’m wrong, but I know only two general goals that most bloggers pursue: building authority for themselves and making money. If you’re blogging “just for fun,” you will either quit soon or realise you need some goal to continue. So how does this apply to the layout of your blog pages? You should treat every page of your blog like it’s a landing page optimized to bring more authority and more money to your blog. 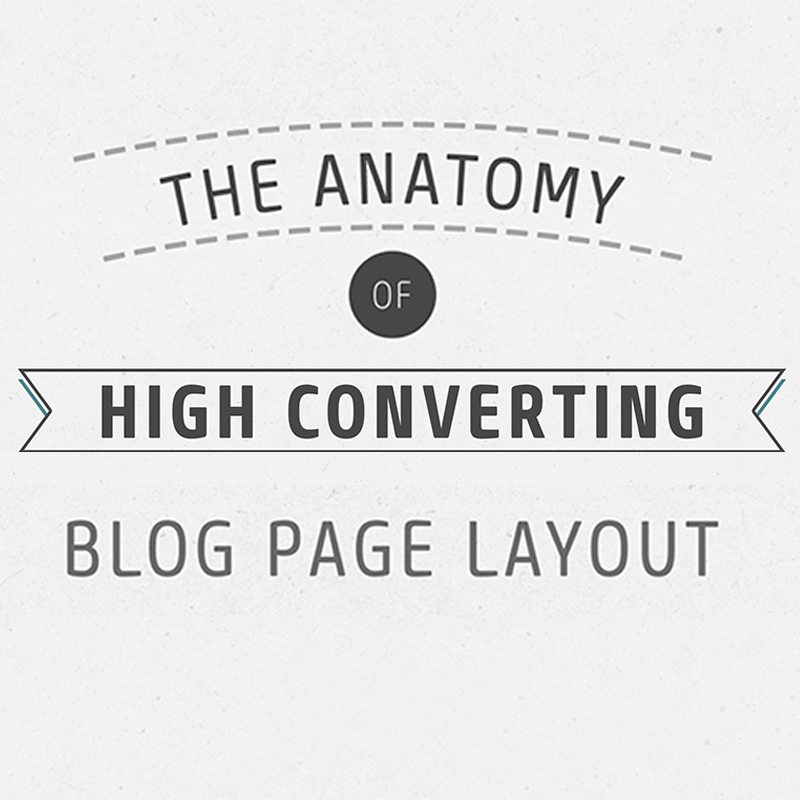 The infographic that you see below represents the perfect blog page layout. Every element on the page has its own purpose and it’s crucial that you understand how they all work together. In accordance to the layout on the infographic, my guide is divided into five main sections. I also have numbered on each element, which corresponds to a section of this blog post. It should be easy for you to relate the guide with the infographic. Since most people in the world prefer to view web pages from top to bottom, header is the very first thing they see on your website. There’s a reason why big companies spend billions of dollars (literally) on their logos. You see, visitors are known to make snap judgements about your website in the first few seconds. These judgements are solely based on design. Your logo is one of the first design elements that people will notice. It communicates something about you to your visitors way before your written words do. If it’s stylish and professional, people will feel that your blog is a trusted resource and they’ll be more likely to stick around. And if you’re are familiar with neuro-linguistic programming (NLP), you may know that logo can become a visual anchor for those who visit your site for the first time. A lot of people will land on your blog just by accident and forget about it the same day. But once they stumble upon it again and again, your logo and website design that will tell them “you’ve been here before“. That’s one of the ways anchors work in NLP. If you’re into branding and visual communications, there are some cool threads about logos on Quora that I recommend you to check. Should I even announce that the takeaway here is to invest some money into a good-looking and memorable logo for your blog? This is a short phrase that briefly explains what your blog is all about. In most cases, people place this tagline right under their logo. Try to sum up all the content of your blog in a few words. This will help people to understand if they’re in the right place. The tagline of Mirasee is a perfect example. Ads are one of the easiest ways to make money. Some bloggers will put big banners in the header of their blog. The reasoning is simple: it’s one of the most prominent places on a page and the click-through rate (CTR) here is quite high (more clicks = more money). You can also improve the CTR of your banners by following some best practices in designing them. But still I believe the key is their relevancy. If your ad is relevant to the article that people came looking for, it’ll work like a charm. I didn’t give the banner section many authority points because generally ads are known to irritate visitors. But if you’re promoting your own products, the effect would be exactly the opposite. PRO TIP: you may want to rotate different banners in your header to track which one has the best CTR. I think there are a few plugins for WordPress that will do this for you. This is your chance to funnel those visitors deeper into your blog and towards your goals. If your blog were a book, your main menu would’ve been its table of contents. But with one distinction – you should foresee what your website visitors want to read (to do) and give them exactly that. It’s not that hard to guess that your visitors may want to find out who you are or contact you. That’s why About and Contact buttons are always a must. Well, another logical assumption is that your visitors will probably want to find all of your best stuff right on their first visit, without having to dig deep into you archives. This is your chance to give people a brief roundup of your blog and to funnel them towards your best articles and best offers. Have you ever heard of resource pages? It’s when you take a certain topic and list all posts you have on your blog about that topic on one page. This is a great way to quickly funnel people towards the content they’re looking for. You should definitely add some resource pages to your Main Menu. Other than that, you can easily use resource pages to make money. This way people won’t have to dive deep into your blog to find these reviews and purchase the items. They are just one click away. All in all, your blog menu is an extremely important part of your page layout – so learn to make the most of it! Case Study: When I was running a photography blog called “Photodoto,” our main menu was simply filtering the main feed of articles into four categories. This didn’t really help people to find the best content, since it was still buried too deep. So we decided to create “recourse pages” for each category and list our best content there, to make things easier for people. As a result – reader engagement went up! This is why people are visiting your page in the first place. You may be the best copywriter in the world, but you may lose a big portion of your readers if you don’t follow a few well known principles. Headline is what draws the visitor into reading the rest of your page. So it’s no surprise that it should be among the first elements that a person will notice. Design experts suggest that you should have a clear typographic hierarchy on your page with headline carrying the most weight. And of course, the actual text of your headline matters the most. But since this is not a copywriting guide, I will just leave you with the link to an awesome “Headline Hacks Report” and that’s it. Arguably the best place for a banner ad is right after the headline, side by side with the first paragraph of your article. Visitors are forced to notice it, since the law of proximity suggests that this banner is related to the copy which is right next to it. On one hand, this may really irritate your readers. But on the other hand, you get the highest possible CTR. Alternatively, you can use a visual, to support your headline and better illustrate what your article is all about. At Photodoto we used to call such visuals “post covers” or “intro images”. If designed well, they can spread nicely on Pinterest. It’s great if your copy is engaging and interesting. But it’s even better if it is designed to be easy to read. 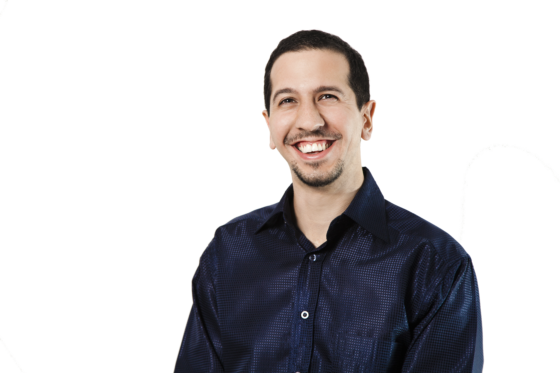 Derek Halpern suggests that the optimal width of your content is between 480 and 600 pixels. Go wider than that and it will be too tiring for the eyes of your readers. Go thinner and people will be forced to scroll more, which is also irritating. You should also split your copy into short paragraphs of text. Readers are very reluctant to read big chunks of text unless their life depends on it. PRO TIP: A study (Lin, 2004) found that good use of white space between paragraphs and in the left and right margins increases comprehension by almost 20%. Readers find it easier to focus on and process generously spaced content. And the font! Make sure you’re using a big enough font for your content. As our screens get bigger and pixels get smaller the old font sizes become less readable. This is really one of the best ways to turn random visitors into regular readers (and maybe even fans). The fact that a person is reading your article means that he is lacking some good information on this topic. That also means he is highly motivated to click on other relevant resources you might suggest. Use this to your advantage and reference your own articles or some affiliate products. The key here is to focus on bringing value to your readers and not on trying to benefit at all costs. Only mention stuff if it’s beneficial to your readers, not you. It is my personal belief that the social sharing buttons should be “floating” next to your article all the time as you scroll down the page. 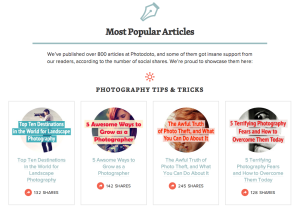 One of the pillars of success in getting lots of social shares is making it easy for readers to share your article. The floating box with social buttons does just that. And if you have some solid shares on your articles, a floating box guarantees that your visitors will always see that and realise how popular your content is. This is called social proof, which clearly makes you an authority. Only a fraction of all your visitors will actually read your article from start to finish, no matter how good it is. But those people who read it are your most loyal visitors and they are very likely to take some further actions on your blog. So it’s your job is to funnel them towards those further actions. The vast majority of people online are extremely lazy and their attention span is awful. So you shouldn’t expect them to scroll back to the top of your page and search for your “About” button just because they’ve developed an interest in you. That’s why lots of bloggers put an “author box” right where the article ends. Mention your best products or services that you offer. Other than that, a neatly designed author box will motivate other bloggers to submit guest posts at your blog, because this way they will be able to get their hands on all the benefits that your author box offers. Like I already said, those of your visitors who just finished reading your article are kind of “nurtured” towards taking further actions. This is the perfect time to grab their email address and run (just kidding). You may add a simple email capture form that says “Subscribe for updates” right below the author box, but it would be much more effective to offer some more value in exchange to the emails of your visitors. In case you don’t have enough technical knowledge to set up this kind of email capture form, I suggest you to take a look at OptinSkin by Glen Allsop. I use it on my own blog and it only took me a few minutes to install and configure . Oh, and in case you’re wondering why the money indicator shows five stars here – As they say: “The money is in the list“. By growing your email list you’re growing your potential income. This block is very similar to “2.4 Links to other articles on your blog”. And this is yet another chance to offer your readers another chance to read a few more of your articles. There are tons of free plugins for WordPress that will generate this block for you. Some of them will only display the headlines of related articles, some will add the images (which should somewhat improve the CTR), and some will also display number of comments & likes next to each article. I suggest you to try a few different plugins and see which of them is the best in driving people in. Make sure your comments section looks nice and people can easily leave messages there. Most of the time, a person who has left a comment will come back later to see if his comment was answered by someone. This is his first step towards becoming a part of your community. I’m using DISQUS on my own blog and my gut tell me that lots of people don’t leave comments on my articles. Te DISQUS system looks too cluttered and complicated. Before you install a third party commenting system on your blog, make sure it doesn’t actually make it harder for people to leave comments. This is a very important part of page layout that has tons of opportunities. In my opinion, many bloggers misuse it. On some blogs of well known guys you may notice a short personal message along with the profile picture at the top of their sidebar. This is a perfect way to greet people at your blog and tell them what is so special about it (consider this to be a more detailed version of your tagline). In case you’re wondering what’s the difference between this and your author box – the author box should focus on who you are, while the “welcome message” should focus on what your blog is all about. And after all, it’s always great to know from the start who the author of the blog is and what he or she looks like. The closer something is to the top of your sidebar, the more prominent and visible it is. For me, my top priority is turning random visitors of my blog into active members of my community. That is why I prefer to place lead capture forms in my sidebar above anything else (except for my welcome message). I’ve already shared my take on email forms in section 3.2, so I guess there’s no point in repeating myself. Just make sure your form looks cool and has a compelling offer. That’s it. In the Main Menu section (1.4, for those of you who were counting) I was talking a lot about the so-called “resource pages” and why they are such an essential element of your blog. Well, you know what? They are so essential that you should feature them again in your sidebar. This way people have less chances to miss them. Go take a look how Pat Flynn from SmartPassiveIncome treats his resource pages. He sure knows how important they are. And speaking of the “popular articles” section . . .
That is a perfect social proof to showcase your best articles along with how many comments and shares they got. It sure motivates people to check what the buzz is all about. And if they love your articles, they will most likely stick with you. The deeper you bury certain things in your sidebar, the less visibility they eventually get. But in if you get paid for your ads based on the number of times they were displayed on your page, it shouldn’t bother you too much. However, if you’re really interested in people clicking on your ads (for example, if you’re promoting your own product ), you should think of moving them higher in your sidebar. I’d call you footer your last resort. If people ignored all stuff you have on the page above it, they are unlikely to get driven in by something you have in your footer. But you never know . . . This block refers to the basics of making your website user-friendly. Lots of people are used to looking for your main menu in the footer of your website. I didn’t mention the buttons that lead to your social profiles in any of the above sections because I sincerely believe you should be laser focused on what’s truly important. And the amount of your twitter followers is obviously not as important as the size of your email list. And besides, “less is more.” The fewer options you give people to connect to you, the more likely they are to pick one. At least that’s what Barry Schwartz says (and he’s damn convincing, if you ask me). So that’s why I suggest you to put all your social profiles in the footer of your website. Those who decide to follow you on Twitter will still easily find the button, right? So the whole point of this article and the infographic was to demonstrate you how certain parts of your page layout help you to reach your blogging goals, which are: make visitors perceive you as an authority and help you to make money. And once you get everything in place, the next logical step would be to track how it all performs. If your analytics will show that a certain module doesn’t perform well – you should either get rid of it or replace it with something else. Of course, I’ve taken out one element that is highly effective and highly controversial at the same time. I’m talking about popup email forms. But before you start hating me for even bringing this up, I want to mention that lots of A-list bloggers use them on their blogs. Maybe you should just learn how to create popup forms that don’t irritate your visitors? 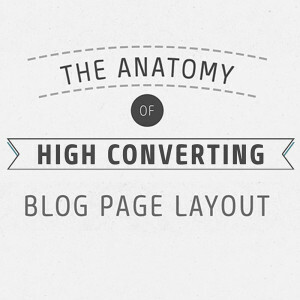 Leave a comment below and let me know a what you think of the Page Layout Anatomy. How many of the modules are present on your blog? Tim Soulo is the head of Content Marketing at Ahrefs. Check his Guide To Strategic Writing if you want to get more traffic and sales from your articles. I really enjoy and learn a lot from this post and infographic. Thank you for practicing what you preach. Thanks, Percy! I’m really glad you see value in my work! So awesome, and thanks again for having a “Print” button on your site, Danny. Also wanted to comment on your answer to Claire’s question because that is EXACTLY my situation. Your advice was so helpful. I’m not very familiar with “pay per click” ads. Any recommendations on where I look to purchase these? Thanks, Danny and Megan…as always…you guys are the best. I stopped blogging for awhile now because I didn’t know any more what I wanted my outcome to be. You put that into perspective for me Tim. Now I will set a more specific goal with blogging. Is there a way we can get a larger picture of your infographic? It comes out really small when I print it. Thanks for all the hard work you put into this. brilliant post – thanks you! Great in-depth article. I know I’ll be referring to it so much I sent it to my Kindle for reference. I agree with your Disqus theory – I hardly ever bother to sign in to comment when I have to go through Disqus. It may reduce spam, but it reduces all comments. If you ever find a way for pop-ups to NOT be annoying, let me know. They really bother me. Almost as much as starting to watch a video and not seeing how long it is. I have so much trouble even getting ON to discus sites, even where I have joined, it’s just too bad, because some are very good sites. I usually just comment as an anonymous guest, or else just go on, saddened. The article asks how I could be irritated by a pop up of a guy featured at Forbes. Well, if he’s rude enough to interrupt my reading…then he’s rude. Ironically, while I was TRYING to read the article you reference, here, guess what happened. Another guy popped up in my face. Grrrr. But it sure hinders reading, so if I’m one of those who just mindlessly buys stuff, then I’ll buy, but if I think you imply I’m that dumb, then I’ll click off. Maybe there is the dividing line: thinking. Yes, I always had my doubts about Disqus being a barrier. After reading this, I have now removed it from my site. Great job.. and now You created again for me one more ReadItFullyLater article..! WOW, thanks for this awesome post. Bookmarked. Thanks for sharing, Tim! Cool infographic 🙂 It goes without saying that I’ll use it when I create a new site next time. Your post is full of useful information. Also, I love the information. Will use it over and over, since I am in the stage of re-doing all my beginning website work, to make it what I now know it should be. Hey Katharine! Thanks for the feedback! I love the article, and the way elements of a blog layout are presented on the infographic (importance, usage, rating). Thanks, Tim and Danny! A great article Tim, you really broke it down in a way that it’s very easy to understand and implement. Thanks! Great guide! Thank you. Infographic is too small to read online! I am in the process of re-designing my site so it is more systemised and looks good. Please forgive me when I say “I want to kiss your feet!” You awesome man. This is just what I was looking for to bring some of my sanity back. Clear, easy to follow and implement and I will post a comment with my site name, when I am done to show you how you’ve helped me 🙂 Thank you so much, Tim. I’m really glad you’ve found my article useful! Good luck with your site! Wow! Most Excellent! Can we get that infographic in a bigger size of a downloadable version if possible? Sure! Just click on it and you’ll get a full-size version! 2. On the new tab, zoom the infographic by pressing Ctrl and +/- (on the NumPad) or using Zoom option (http://prntscr.com/2nfc28). This is so amazing. So easy to follow and that is exactly what I need. Hey, great infographic and post combo, Tim. It was very useful and clear. I’m new on the BMC and now I’m on the process of re-designing my blog. This has been quite useful and selfexplaining. I’ve downloaded the infographic which is a great roadmap! All these contest post were absolutely wonderful! This was super informative and I’m going to make some tweaks to my site because of it. Thanks so much! That was an awesome post! I am a newbie so the information is a bit overwhelming but I am bookmarking it As I work on my blog I will be using this post to help me get it right. WOW…amazing Tim! : ) Absolutely love the infographic. You included so many great pointers that my mind is spinning. This is bookmarked and on the top of my bookmarks page. Just awesome. Thanks so much. Thanks for sharing, will access it when I start building my blog!. Wow, or maybe I guess that should be double WOW WOW. I just started rolling out my blog and I see there is a lot to consider. Some things I knew of before and some, honestly I had never considered – like the perfect amount of whitespace around my headline. I don’t know how much that is, but you can be sure I will be testing that and the typeface too. Thank you, Tim. BTW, you have a new signup to your blog, I am very much looking forward to that. awesome article. So great tips summarized in such a beautiful way.. Extremely well laid out. The combination of the easy to follow information with an info graphic to add a visual explanation was great. This one post I’ll be saving for ongoing reference. Excellent article! It has inspired me to look at all my sites and consider what changes I need to make to improve the visitor experience. Thanks, Tim! Great stuff Tim! It’s been bookmarked, and the Infographic printed out. I was just in the middle of revamping my website and came across this post. Excellent info and I will be using the majority of it in my design! Well done! Your information will be a huge help. Thank you so much! There is so much here that I didn’t know! Congratulations on your second-place win – well done against such stiff competition! Your guide is very informative and a valuable resource for me as I review and revise my website and roll out more landing pages. Thanks, David 🙂 I’m really glad that you’ve enjoyed it! I have quite a few of the components, but I am going to definitely add in a few as well. I really want to focus on including the author box, email capture box, links within blog, and recommends sections. I love the start here idea as well as the related reads. Thank you for sharing this, you have given me some more excitement for my blog.